Governor Kayode Fayemi began the construction work on Thursday by formally handing over the first phase , the new Ado – Iyin Road construction project , to the Chinese Civil Engineering Construction Company Nigeria Ltd to commence work on the road which was originally awarded in 1978 but was abandoned . According to the governor, the road , when completed will put end to the series of accidents witnessed at Akannansan on the old Ado-Iyin Road . The Special Adviser to the Governor on Road /Transport and Infrastructure , Sunday Adunmo , said lightings would be accommodated in the N 8 . 9 bn road so that commuters could travel any time without fear of the unknown. 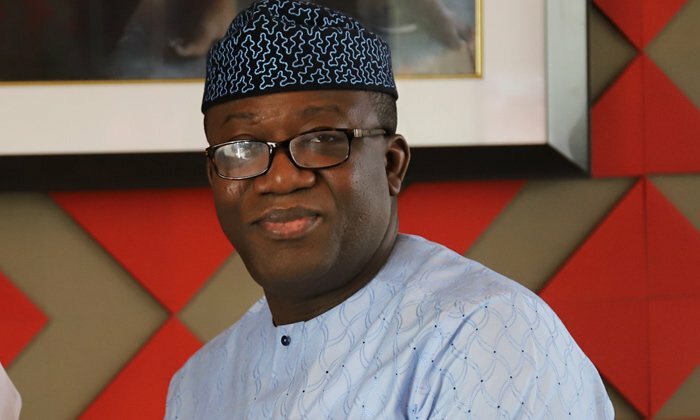 Adunmo said that the Fayemi-led government would soon begin construction of some ring roads, including Iworoko -Eyio -Igede Road and Ago Aduloju ( Ado Ekiti) -Afao Road among others to reduce traffic in the capital city . CCECC Southwest Regional Manager, Sewell Zhao, said the company had commenced the recruitment of workers for the project ; stating that the company would accommodate local content by employing at least 500 Ekiti people for the construction work .